This French-Egyptian drama centers around the life of an Andalusian philosopher from the twelfth century, named Averroes, who garnered attention as a grand judge due to his controversial liberal court decisions. Eventually, members of a fanatical sect of Islam force the caliph who had appointed Averroes to send him into exile. However, his ideas live on due to his students, and he becomes one of the most important commentators on Aristotle. The controversial film seeks to condemn intolerance and religious fanaticism. 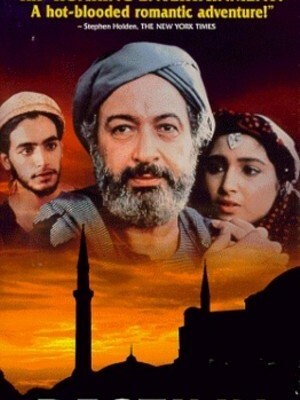 Although selected as the Egyptian entry for the Best Foreign Language Film at the 70th Academy Awards, the film was ultimately not accepted as a nominee. Gugler, Josef. Film in the Middle East and North Africa: Creative Dissidence. University of Texas Press (2011), pp. 254-259. Jousse, T. Entretien avec Youssef Chahine. Cahiers de Cinéma, No. 517 (October 1997), pp. 35-39. Khouri, Malek. Anxieties of fundamentalism and the dynamics of modernist resistance: Youssef Chahine’s Al Maseer (The Destiny). CineAction, Iss. 69 (Spring 2006), pp. 12.